Good story, men will do anything for a beautiful woman, I liked the ideal of them being thrown together, things were rocky for a while but they came out great in the end, I like the way the author tells a story. Loved this story!! Short and sweet and loved the chemistry between Sunshine and Cole! Great story, recommend to everyone to read again and again! 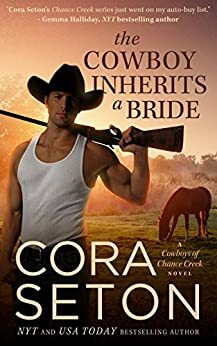 Another great Cowboys of Chance Creek book. This is a really, really great series. I read them all in a week. I just couldn't put them down. A terrific plot idea, with very relevant themes and hilarious twists and turns. Lots of love, laughter, a bit of suspense, and some hunky hunky men - what more could a girl want? Cora Seton writes so well, and every book is really engaging. Great female characters.